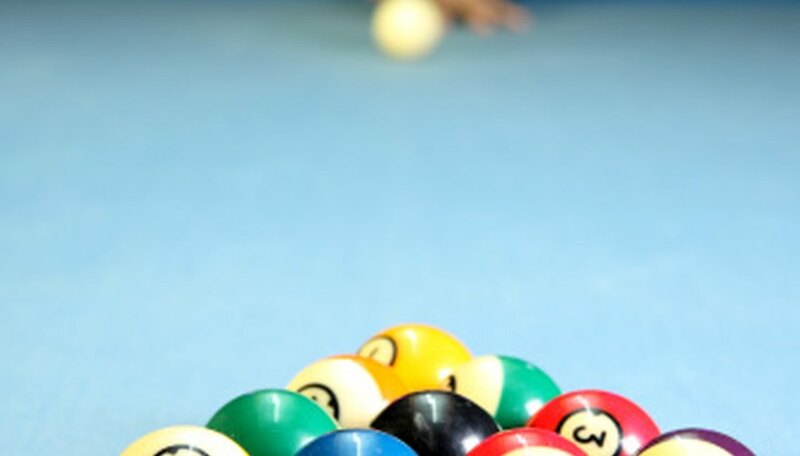 Pool tables are a gift to any home, as they give your house a location for guaranteed entertainment and challenge. Pool tables turn your home from a functional place for eating, sleeping and showering to a place where you can pick up and refine a hobby. However, because a pool table does take up so much space, it helps if you can use it for alternative purposes. You might live in a household where you're the only member who plays pool and you'll find yourself playing alone quite frequently. While that might help you fine tune your pool playing techniques, it could get somewhat lonely. Purchase a conversion top for your pool table so that other members of the household can take part in games that they enjoy as well. A ping pong conversion top will lock down on top of the surface of your pool table, protecting the table and giving you a solid foundation to play ping pong on. Converting a pool table into one that you can eat off of is a simple process of just getting a sheet of plywood large enough to adequately cover the top of the table. This option is most suitable for older pool tables that have already seen their share of wear and tear, as the pool table could get scratched when putting on the cover or taking it off. It will, however, give you a solid surface to lay plates and serving dishes on. Easily convert your pool table into a proper poker table by covering your pool table with its proper plastic cover to protect it and laying a poker table cover on top of it. You might first need to put pieces of wood along the edges of the pool table underneath the plastic cover so the poker table conversion cover fits more snugly. In that case you'll have to secure the plastic cover on top and around the pool table with cords or ropes wrapped it and the legs of the table. Will Borax Bring the PH Level Down in My Pool?